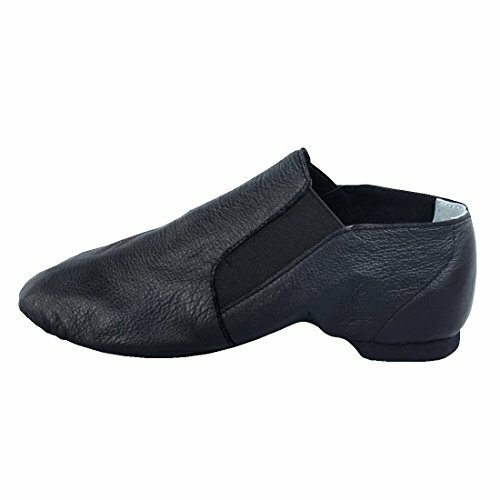 The slip on split sole jazz shoe is made with a soft genuine leather. 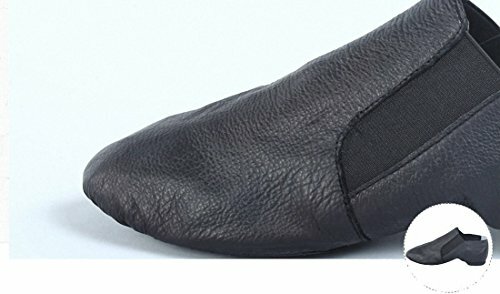 The sides of the shoe have elastic inserts to give the dancer a perfect fit without laces. A suede sock provides cushioned control and prevents the heel from slipping. 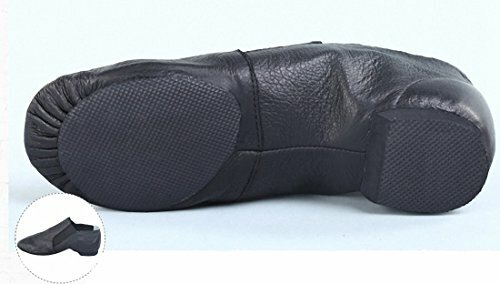 This shoe also has a cotton lining for maximum moisture absorption. 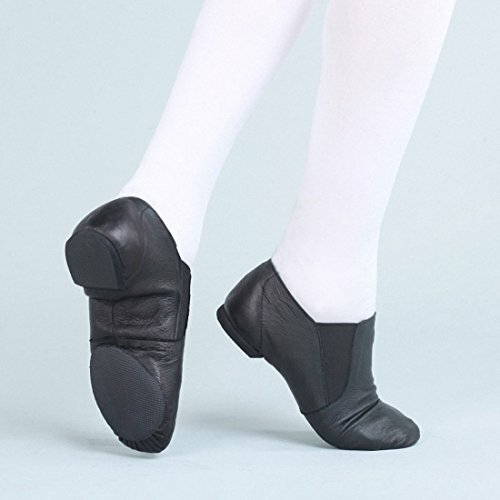 The split-sole design & EVA sole and heel provide traction and give the dancer steady turning capabilities. 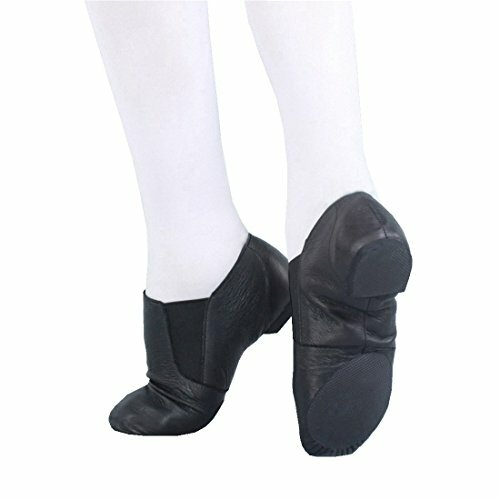 suitable for ballet class, dancing school and gymnastics.